As an artist, you’ve probably dealt with the challenges of the real world, making it extremely difficult for you to find work. Some statistics show that recent graduates with a bachelors in art are ranked with one of the highest unemployment rates for any degree curriculum. Despite this however, there is still a need for artists in every aspect. Networking is an age old practice that is strongly encouraged for job security. You can know a lot of things, but if you don’t know the right people, your chances will be limited. The past few years, we’ve seen a dramatic increase in social media and how it has positively permeated our culture, and facilitated the search of jobs and people with connections. Social media is without a doubt one of the best solutions for artists in particular, to easily promote themselves and their work. But you’ve got be on the right sites and build a contact list. Since most art is visual and audial, it’s best to network on sites where your talents can be easily viewed, or listened to. No one knew what a Twitter was five years ago, but almost everyone has one today. It’s one of the leading social sites for breaking news and the go-to place for networking. This site is great for tracking down businesses or companies and connecting with them. Almost every major company today (big or small) has a Twitter profile, which makes connecting with them easier. Use Twitter to search for companies and other artists that interest you, or people that may help you in the search for job opportunities. You can also choose to connect with bloggers and editors who operate websites that may be in search of an artist to design or draw a logo for them. Find them, follow them, and impress them. Make sure to detail your purpose in your profile, and include links to your personal website. Ask questions and respond to any that you get, but don’t be too persistent to the point of suffocation. The breaking news aspect of Twitter, will help you keep on top of the latest news about your industry, which is important. Tracking hashtags like #painter, will keep you notified of people mentioning it. This is also a great site for art promotion. A few years ago, I remember watching videos of a young woman who would set up her camera, and just begin drawing. While she drew on paper, the video also included music and captions of what drawing tool she was using and what technique she was using. If you are shy and don’t want to speak in front of a camera, that’s still fine. You can choose to strictly draw or paint, and set up a camera positioned over your workspace and begin recording. For vocal artists, there’s no better site than YouTube. You simply cannot be shy if you want people to notice you. If you have a great voice or can dance like no other, how else are people going to hear or see you? Plenty of our current popular artists got their start by just singing on YouTube i.e., Justin Beiber. He was discovered by someone, who knew someone who knew Grammy winning artist, Usher. While there are other video hosting services, YouTube is by far the most popular and gets over a billion views a day. Knowing how to navigate and use the site is very helpful. So, post your work, gain subscribers, possibly collaborate with other users and maintain the connections you make. This fast growing site, in my opinion, is one the best sites for artists. It’s great for visuals. Showcase and build your portfolio here or share tidbits of your art and link it back to your own personal website where people can contact you for more information. Make sure to follow relevant people related to your field and use the correct tags to expose your presence more. The arts section (or tag) is one of the most popular on Tumblr. If you’re lucky and get featured, that will help increase your base and will also look great on your resumé. Save the best for last. You can do all of the above on LinkedIn (albeit differently) and have easier access to finding a job. Join the groups section and contact other people in your field and find companies. On this site you get a better idea of whether a company of interest has a job offer available. Plus, based on the information and location you provide on your profile, you can sign up for email alerts that will send you job openings that suit you best. Most important of all, keeping up with people you network with is the most vital part of networking. If you’re contacted by someone, or had someone connect with you, make sure you keep in touch with that person. Also, make sure that your contact information on these websites is readily available and updated. If a possible employer has taken an interest in you, they will usually contact you by email. Include email addresses and profiles that you use frequently. Having a steady online presence will show your future employers that you’re up-to-date with the times. 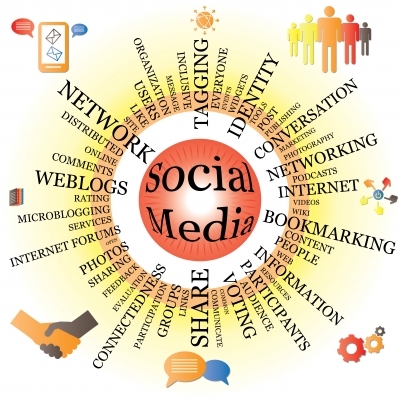 In this fast growing technological world, social media is key to networking. Read part two for more.